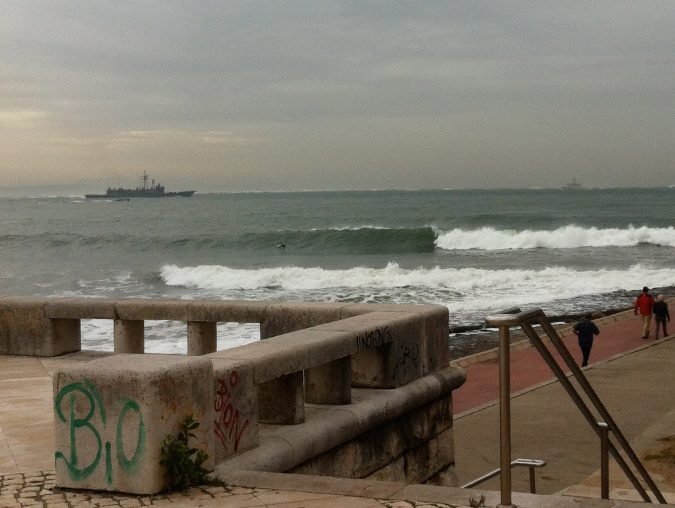 Santo Amaro is a more sheltered wave than most in Linha do Estoril. In big swells or stormy conditions, Santo Amaro provides a great alternative to harsh conditions found in Carcavelos and other more well known spots in the area. A barreling right-hander, this spot often will not break at low tide but on high tides it produces great waves. It doesn't start breaking before 1 meter, and for it to be that size Carcavelos would have to be close to 2 meters. The best swells are from the West and South West.